When it comes to CNC Parts, Who Says Quality Can’t be Affordable? In a tough, competitive manufacturing climate with razor thin profit margins, many OEM companies have turned to offshoring small parts manufacturing tasks in an effort to save money. On paper, it looks like a good strategy, but experience has often demonstrated otherwise. At Central Tube and Bar, it may have seemed counter-intuitive when we went into the business of domestic production of small parts for OEM companies, but we recognized several weaknesses in offshoring, all of which add up to additional costs to OEMs above that attractive per piece cost they were quoted when they placed their order. International shipping frequently involves conflicting regulations, even after your parts are finally underway.. More than one OEM has had to deal with production line stoppages because the parts they needed on the line were still enroute. Scrap is also a factor. Scrap rates often run as high as 20 percent, which means for every 1,000 small parts taken in inventory, as many as 200 have to go straight into the scrap bin. Also, manufacturing flaws, design mistakes, and even simple miscommunications squander valuable production time. At CTB, we employ multi-radius precision laser cutters, and can work with round, square, and rectangular tube in carbon or stainless steel or aluminum in multiple thicknesses, and sizes that range from .5” to 16.” Our machinery is capable of 3 & 6 axis cutting, in-line tapping to .50,″ and tab and slot features. 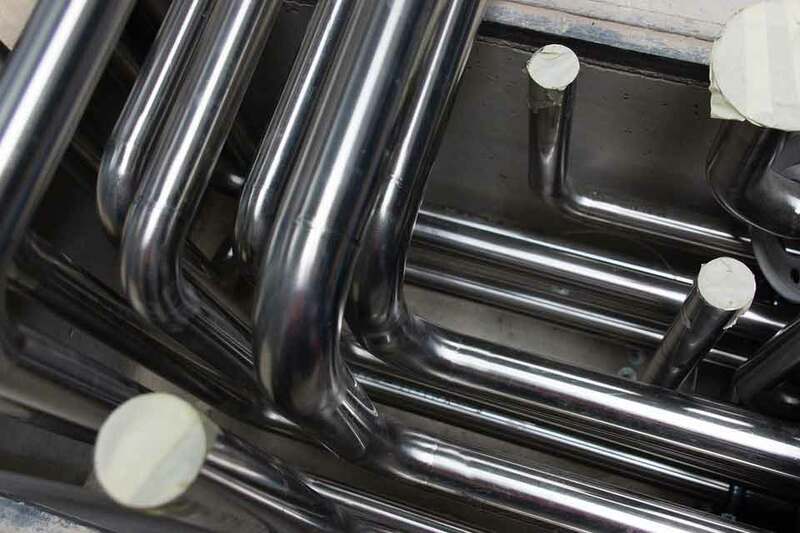 With our capabilities to do rapid multi radius bending services with our multi bend tube bender, precision metal cutting, parts finishing, and other precision services on a large scale, we can offer Just-In-Time delivery service built around your schedule. we can even offer modifications to simplify processing, employ new features to eliminate downstream processing or assembly steps, and alternate materials for lower cost or improved performance, and you’ll have your parts in days. Not weeks. Not months. Days. Oh, and scrap rates? Our clients demand zero defect quality. So we deliver zero defect quality on every order, and every part will be assembly-line ready! No trimming or adjusting. Just position and attach it. For more information, or to place an order call CTB at 501-450-7750 or contact us online at this link. Your bottom line will thank you.